Terminal Extensor tendon: DIP extension is provided by the the conjoined lateral bands which insert into the base of the distal phalanx and are made of the lateral slips of the extrinsic extensor tendon and the lateral bands from the intrinsic interosseous and lumbrical muscles. 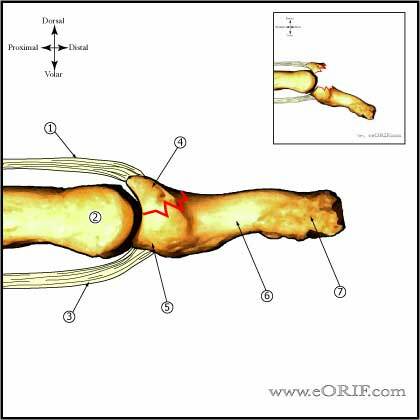 The forces created by the extensor tendon and FDP tendon may displace the fracture resulting in joint subluxation. Supine postion with hand table. 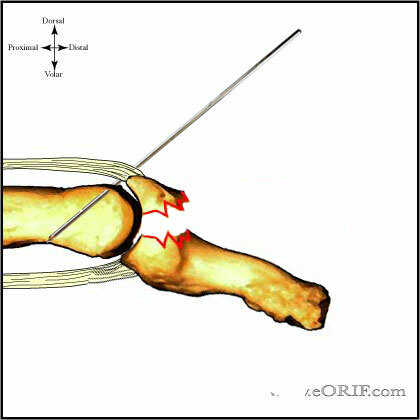 0.045-in K-wire is placed just proximal to the dorsal fragment preventing its displacement. 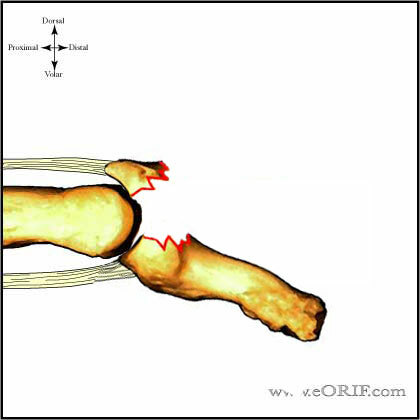 Ensure articular surface is restored. 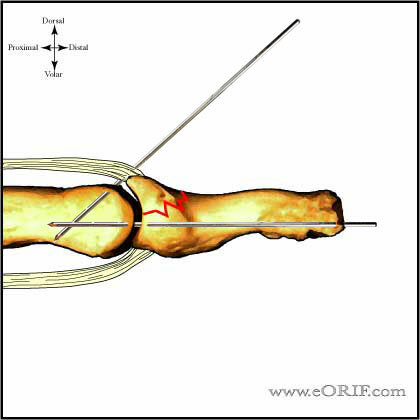 0.045-in K-wire is placed longitudinally in the distal phalanx centrally in both the A/P and lateral planes maintaing reduction of the volar fragment. K-wires are bent and cut short. Henry MH in Fractures in Adults 6th ed.